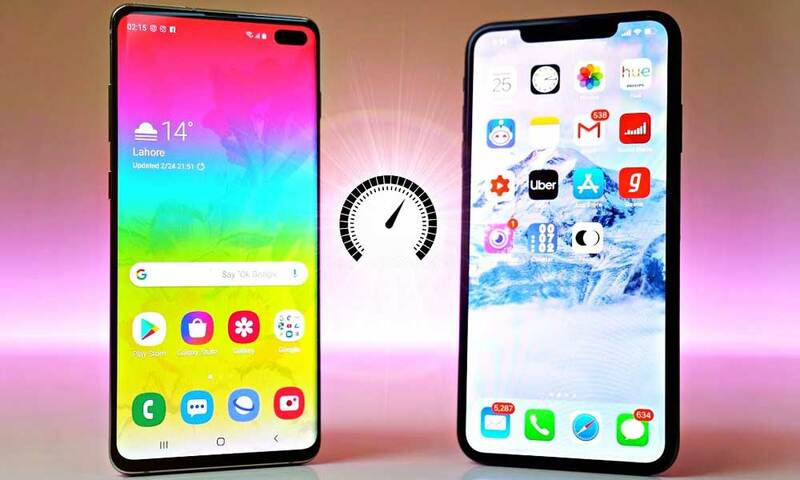 In a speed test done by one of YouTube’s popular tech channels called PhoneBuff, the newly launched Samsung Galaxy S10 Plus and Apple iPhone XS Max went head-to-head with one another for a speed test. iPhone XS Max was declared the previous champion by PhoneBuff, however, the defending champion failed to carry on the title and lost to the Samsung S10 Plus. The test did show one interesting fact, which is that Samsung mobiles have since improved and have shown growth compared to their predecessors. The iPhone XS Max ended the first round at 1:50 while the S10 Plus finished it at 1:54. Round 2 was when the competition got more intense and interesting. Round one was all about testing the raw processing power of both of the phones, while round two tested the RAM management and app optimization of the devices. Initially, the iPhone XS Max had taken the lead until the S10 Plus picked up the momentum and won. Who should face the Galaxy S10 Plus next?